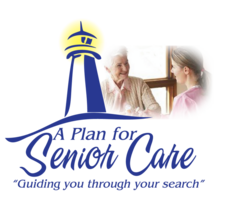 ​The mission of A Plan For Senior Care is to provide families with personalized and caring services as they seek the best fit for senior care and housing for their loved one. It is our honor and privilege to guide families through their search process with a complete care plan. A Plan For Senior Care takes the time to listen and learn about your loved one's unique personality, care needs, and life. We will assess your situation, sort through your needs and provide you with the resources and guidance that you need to find senior care and housing for your loved one successfully. Our care plan will have options for senior care and housing along with other resources necessary for all aspects of your senior's life. Our care plan is created for your loved one's specific care, social, cultural, financial and geographic needs. A Plan For Senior Care serves as a beacon of light, guiding our clients through what seems to be dark and foreboding waters, navigating them through what would otherwise be an overwhelming challenge, and, ultimately, charting a course for them that will allow them to arrive at the most desired destination for ones’ particular circumstance. for more senior care tips. We will provide resources, arrange for your tours of care and housing and discuss your options with an unbiased opinion. A Plan For Senior Care will guide you throughout your entire journey until you have made a comfortable, educated and confident decision. Searching for senior care and housing can be an emotional and time-consuming process. Let us review your loved one's situation, sort through the chaos and create a tailored care plan for his or her specific needs. Our process will save you valuable time while giving you the peace of mind of knowing what is necessary and what step to take next.